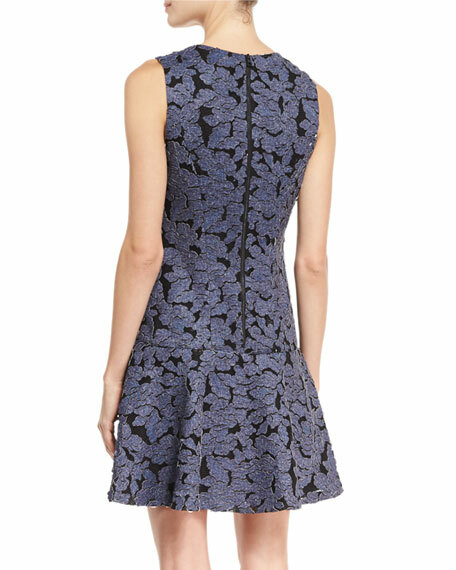 Alice + Olivia "Fonda" dress in floral lace. Approx. 34"L from shoulder to hem. For in-store inquiries, use sku #2004844. 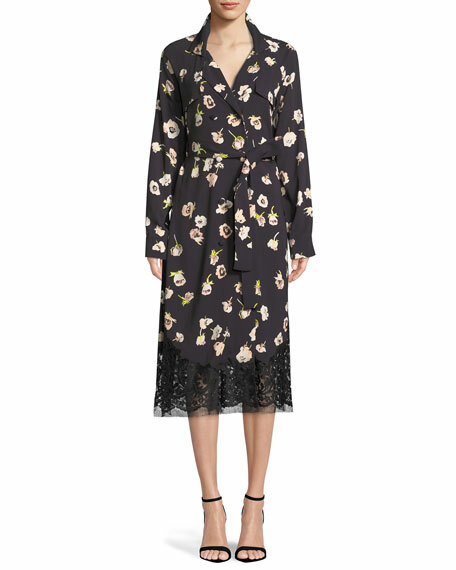 Lela Rose floral-print wrap dress. Notched collar; button front. Long sleeves; button cuffs. Self-tie belt. Rain-flap detail. Midi length. Lace hem. Viscose/spandex. Lace, polyester/nylon. Made in USA of Italian materials. Love Sam "Dream" dress in floral-print silk with lace insets. Deep V neckline. Short flutter sleeves. Drawstring ties at waist. A-line silhouette. Open back. Flounce hem. Knee length. Slipover style. Imported. 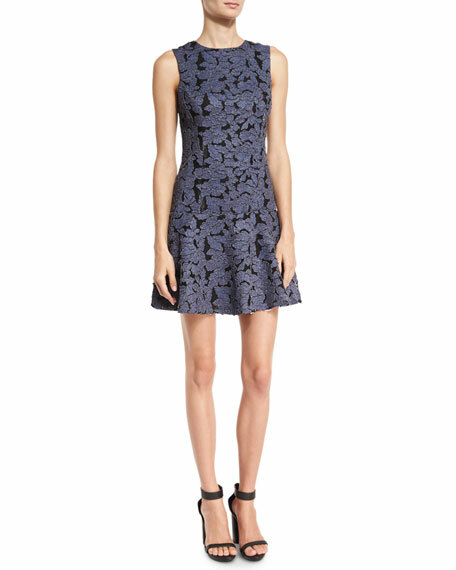 Marc Jacobs dress in spotted lace with ruffle trim. 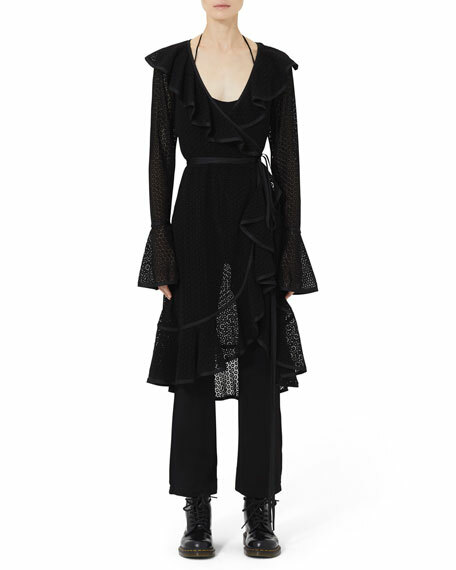 Ruffled surplice neckline. Long bell sleeves. Self-tie cinches waist. A-line silhouette. Tulip hem. Cotton/rayon. Lining, rayon/spandex. Imported.